The book’s narrator is DEATH. Yes, it is death. He is one of the most influential characters in the novel. It is disturbing in the beginning, but surprisingly this character helps to illuminate the human soul. He helps the reader to understand how cruel humans could be to push other humans to seek meeting Death. Typically, the most suitable setting for such a character is war; and this is The Book Thief’s setting: WWII. It narrates the story of Liesel, a German girl, during the war. Death reads the story Liesel writes herself wherein she writes about her real struggle, love, sadness and happiness; telling us that she is the only human who caught his interest ! Though the book discusses the life during war, in particular that of Germans and the miserable conditions in which Jews found themselves in, its main theme is the power of words. It shows how words and book save our lives. Words are comfort. They connect us make us one entity. Still, they could do exactly the opposite, and this is why they are powerful. We should know how to use them to create a bubble of happiness and comfort around us. Words could elevate nations and demote others. People should know the capacity of words and books. 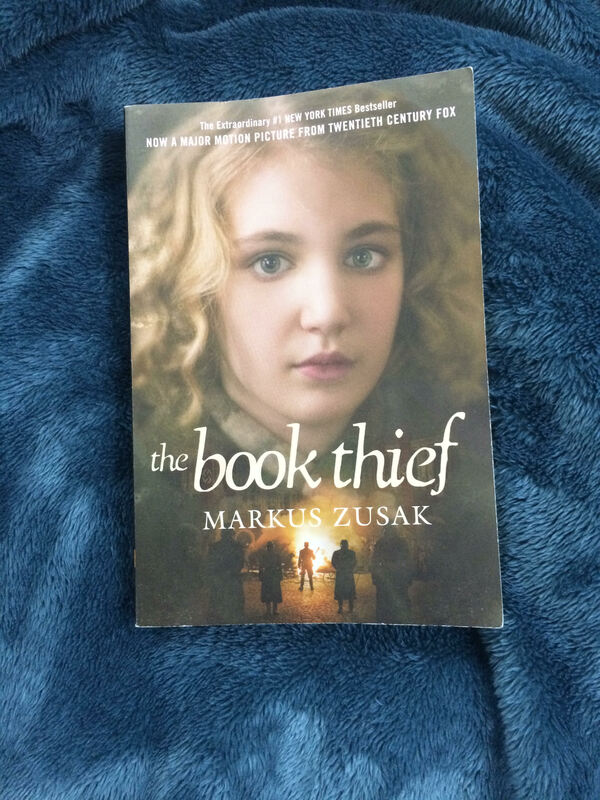 The Book thief also shows how sometimes we hide behind strong walls to shield ourselves..to protect ourselves. In this book, most of the characters pretend to be aloof, emotionless and withdrawn to protect themselves from being more hurt; but deep down they are true humans, but this is what war and fear turn them into. This is a lesson to never judge people…we all- well except very few !- have the seeds of love and kindness within. I really loved this book. The characters’ depiction is so real…the style, though eccentric, is very gripping..and the language is simple but beautiful. This is the kind of the novel you want to read slowly to digest every single word in it…to absorb its beauty…and power.